It's that time of year where you have the bug to shop but everything you want is still full price. We started browsing Nordstrom's sale section and were very surprised by how many items provided serious shopping temptation. 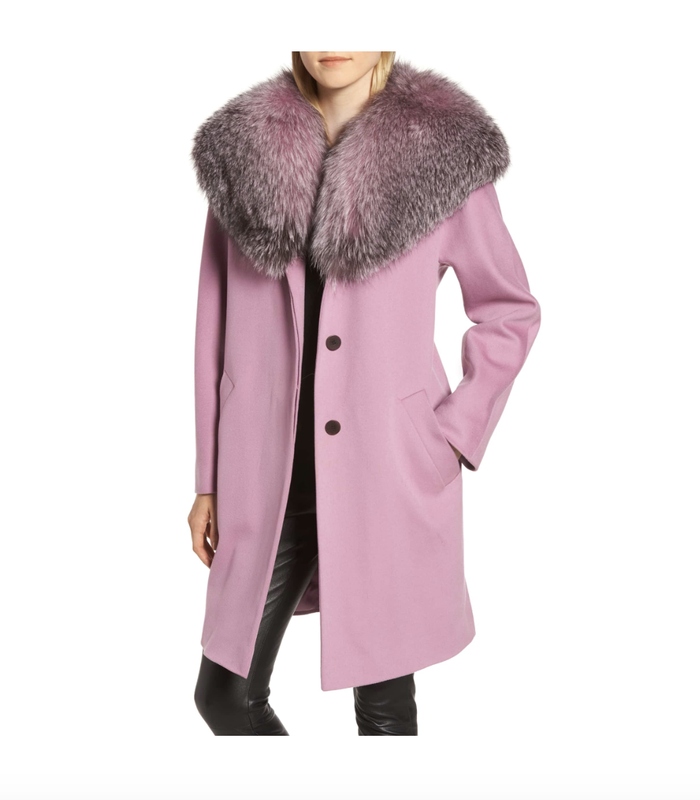 We nearly fell on the floor when we scrolled past this lipstick pink wool coat with an oversized pink-grey fox collar. The current price is about $2000 from $3000. Not exactly a steal but it's a much better deal than the Dior version that's about $6500. This millennial yellow duster from Theory is $350 from $600 and is perfect to put over a chunky sweater. Speaking of dusters, here is a full length 100% cashmere style with a hood that's just $175 from $350. It would look perfect with these Stuart Weitzman slouched leather high boots that are 40% off. The best part of scrolling a Nordstrom sale section is the denim selection. Over this way, we found classic Farrah AG jeans. They have been our go-to jeans all Fall. Here is the same style jean in a waxed Bordeaux color. This flared style jean from Paige is really great because it has slits at the ankle that allow you to show off your boots. Designers including Burberry, Versace, Gucci, Maison Margiela, and Michael Kors have all rejected fur and yet you continue to promote this cruel practice by gushing over a coat with a fox collar. Either you have a financial incentive from Nordstrom or you are a truly uncaring human being. Either way, you've lost this once devoted reader. Thank you so much. I respect your opinion and think it's a valid point. I'm not a vegan and hope you can respect other points of view too. You don't have to be vegan to care about animal cruelty, Lilah. I think that was her point.